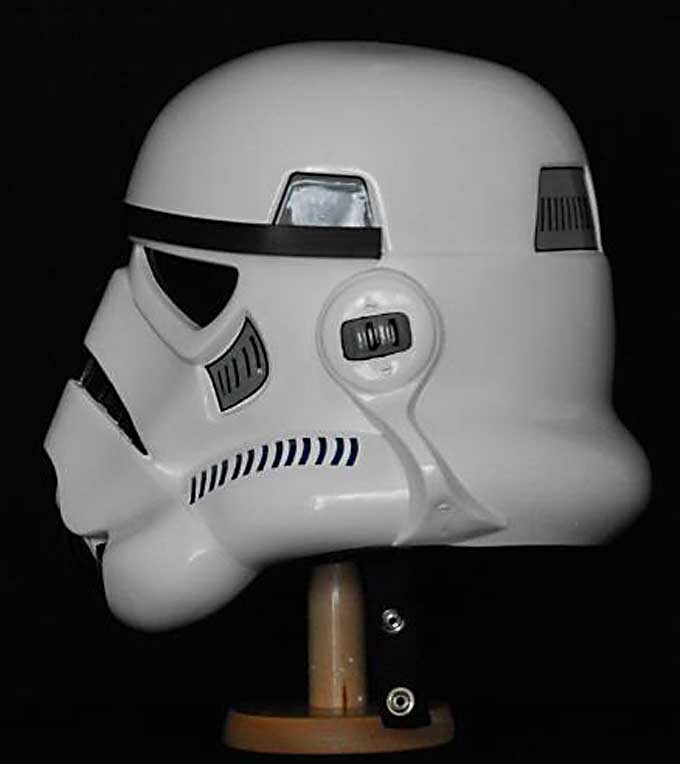 Based on the same moulds that a number of the other ANH trooper helmets (and armor) have derived, the Laws Archive is another addition to the ranks of quality armor and helmet producer. 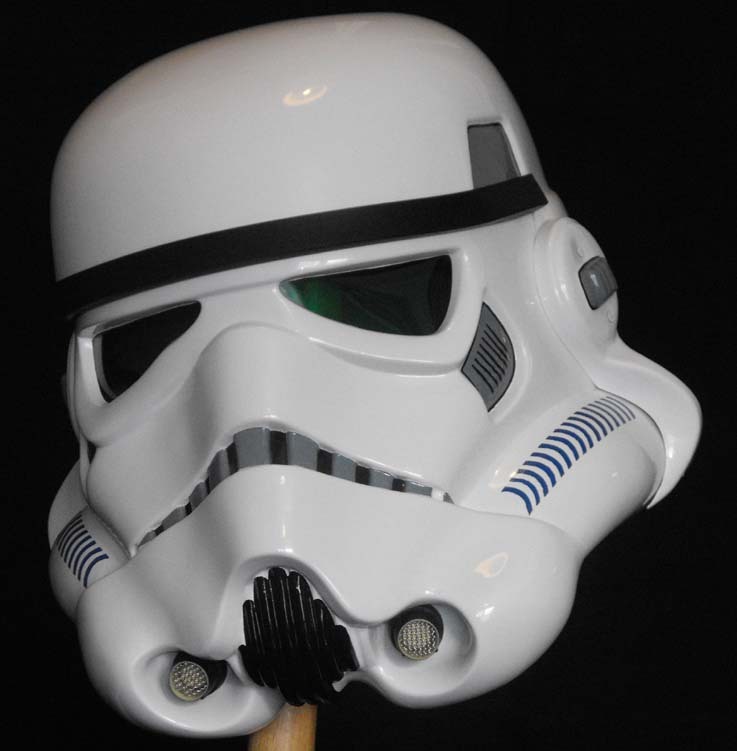 Laws previously used to vac form a number of the different TE helmets so he knows his way around thermo-plastics! Note that these two photos from Firebladejedi above feature the LA Helmet - along with TM Armor. 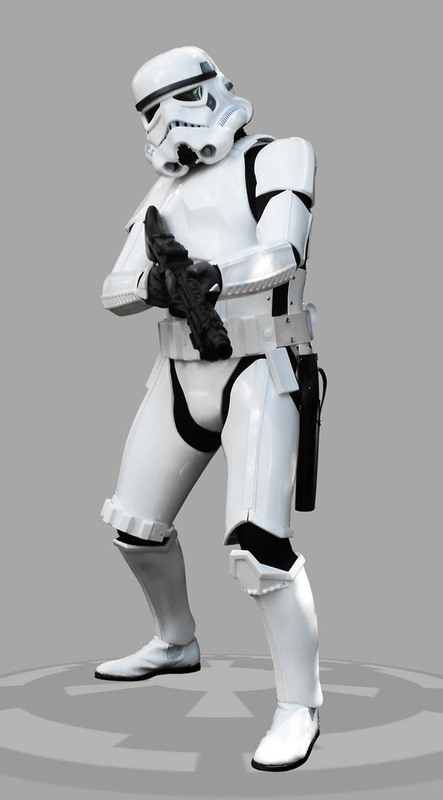 For more pics of the TM armor (which also comes with its own helmet) then click here. 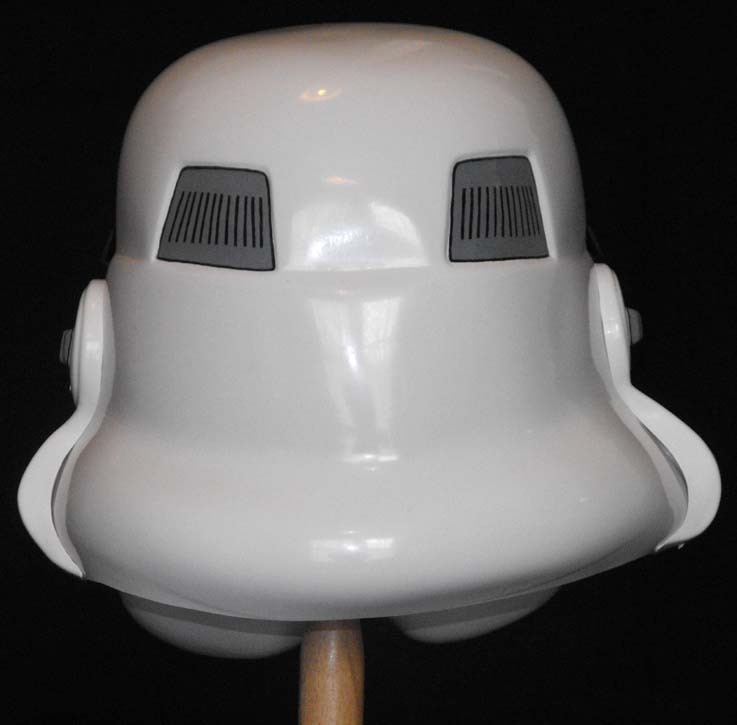 These great shots sent to me by FireBladeJedi who reviews this helmet... 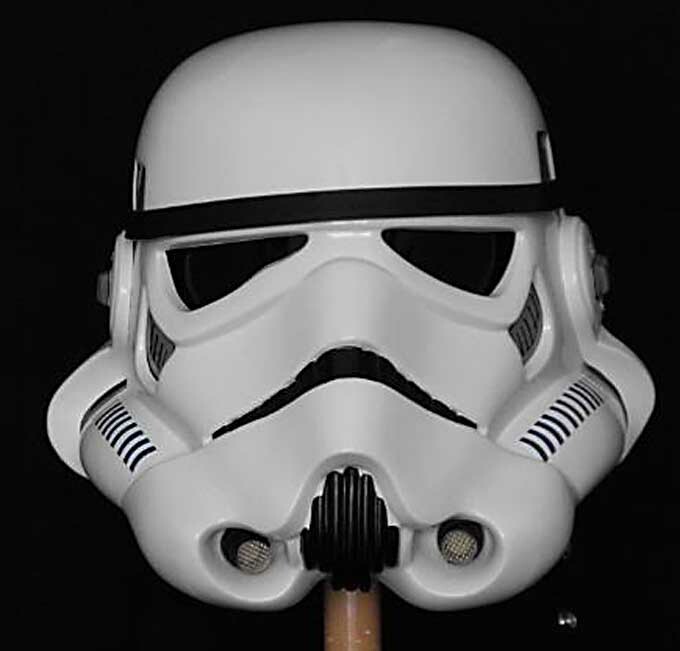 These latest Laws helmets are made from the moulds taken off the "Set for Stun" (aka "The Dave M" helmet). 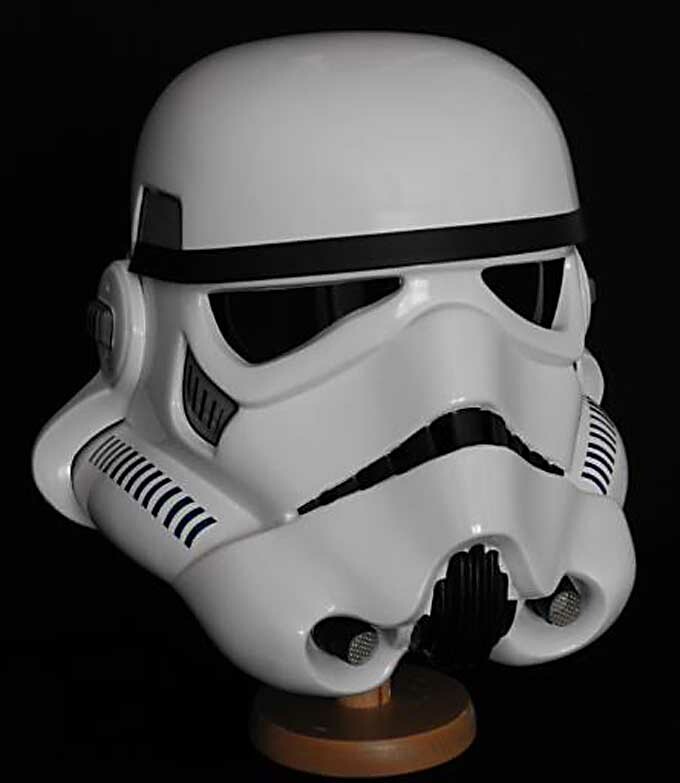 They look quite different from the vast majority of Stormtrooper helmets which are all cast off the "Brian R" helmet. Firebladejedi adds....These newer pulls are made from thinner ABS Plastic than other makes, which really giver great details that are sharper than most other helmets. Some people think that Dan has overly cleaned up the moulds, but i think these helmets look great. 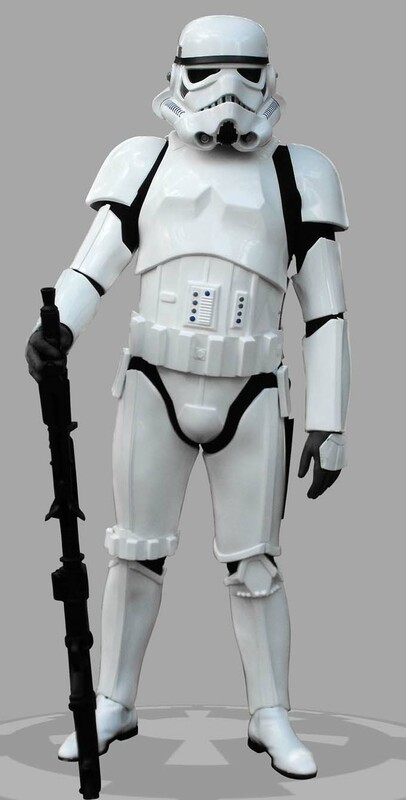 They are nice and light weight also and are great for trooping. However, they are fairly tricky to build maybe because they are so thin, but are very satisfying to complete! Our thanks to Firebladejedi for his ANH review. 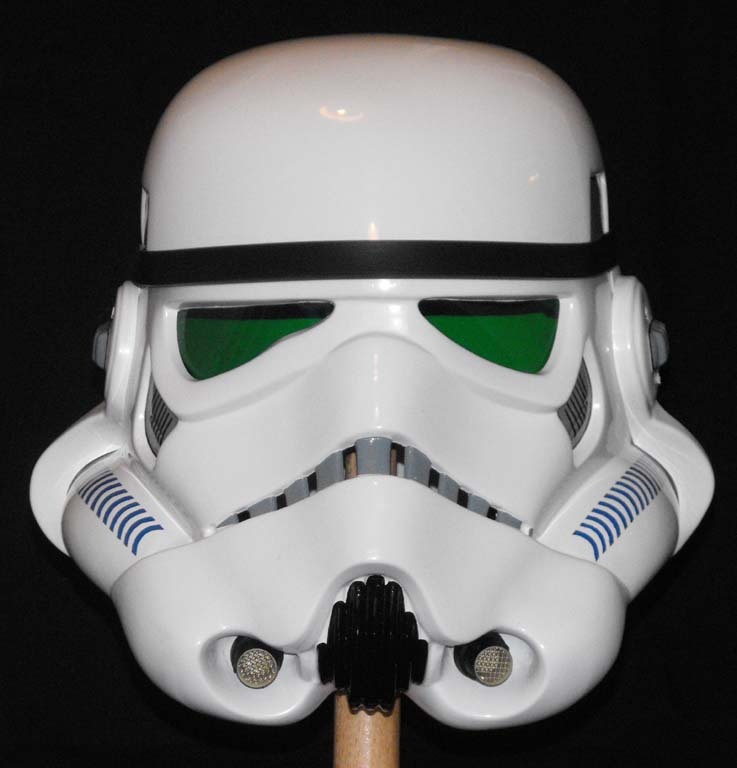 He's also made one up into an ESB style helmet, using a set of Mike/ TK4510's excellent decals and Keith's equally superb replica "Hovi mix" mic tips. 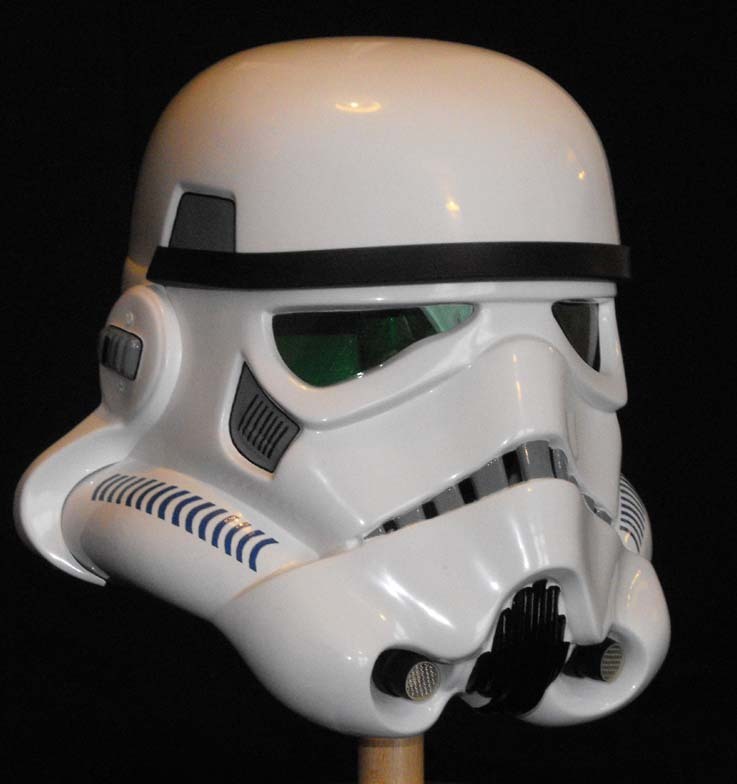 As you can see apart from the obvious black frown and decals, the ESB helmets (which remember were originally just re-used ANH helmets) had the eyes trimmed slightly wider, by just trimming the plastic back a touch. 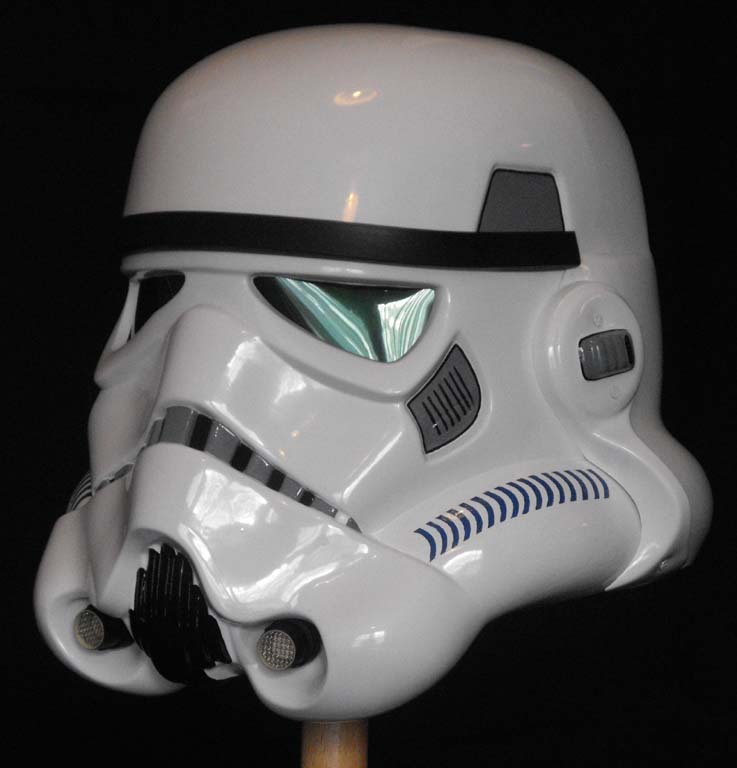 For more information on the Original Empire Strikes Back Stormtrooper Helmets then click here.